There has been significant media coverage about the life and legacy of evangelist Billy Graham, 99, since he passed peacefully in his sleep on February 21, 2018. Indeed, 50 years from now, historians, theologians, scholars and church growth experts will be studying his unprecedented influence, transferable ministry principles and cadre of statements and sermons he left behind, as they have other great evangelists who preceded him. Had a seminal influence or involvement in founding other ministry organizations, such as “Christianity Today,” Gordon Conwell, ECFA, etc. Became the world’s largest producer and distributor of religious films – over 130 titles. It has been said that the world will not see another like Mr. Graham in our generation. In fact, his influence has been so broad, and his impact so far-reaching, we won’t know its extent this side of heaven, no matter how clearly defined. Like the Old Testament patriarch, King David, after Mr. Graham “had served his generation according to the will of God, he died.” (Acts 13:36 NLT). Only in heaven will the full extent of his impact be revealed or understood. But his legacy will live on through the next generation of individuals called by the Lord to faithfully lift up His name. Larry Ross is president of A. Larry Ross Communications, a Dallas-based media/public relations agency founded in 1994 to provide cross-over media liaison at the intersection of faith and culture. 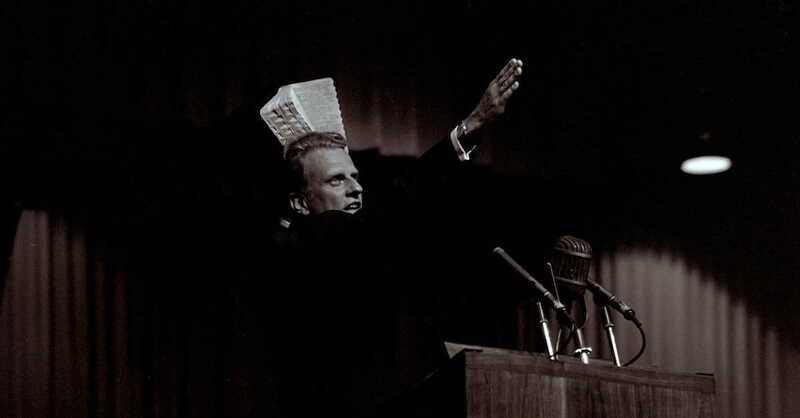 For more than 33 years, he served as personal media spokesperson for evangelist Billy Graham, and is responsible for the website, http://www.billygrahamlegacy.info and curator of the video streaming channel, http://bit.ly/BillyGrahamLegacyYouTube.